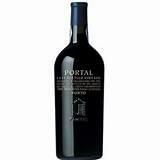 Our LBV Ports are produced in years of excellent quality and are aged longer in wood than Vintage Port. They are bottled four years after the harvest. Red in colour, they are full bodied, smooth and with a fruity bouquet. Our LBVs are bottled unfiltered so decanting is recommended as during the course of the years the wine will throw deposit.